The Grotto is a cave with a natural pool of clear blue water and Indian Head Cove is a scenic inlet located next to the Grotto. These two popular attractions are located along the Georgian Bay shoreline in Bruce Peninsula National Park and are reached by hiking about a half hour from Cyprus Lake. In July, August and on holiday weekends, it is very busy here. To ensure you are able to experience the Grotto, making a parking reservation is strongly recommended. When Grotto parking is fully booked, there is no additional access for day visitors wishing to hike to the Grotto. Reservations can be made from May 11, 2018 to October 31, 2018, up to 30 minutes prior to the beginning of the requested time slot – subject to availability. When Grotto parking is fully booked, there is no more Grotto access at that time. What are the time slots? 1) 8:00 a.m. – 12:00 p.m.
2) 8:30 a.m. – 12:30 p.m.
3) 12:30 p.m. – 4:30 p.m.
4) 1:00 p.m. – 5:00 p.m.
5) 5:00 p.m. – 9:00 p.m.
6) 5:30 p.m. – 9:30 p.m.
Reserve online at www.reservation.pc.gc.ca or call 1-877-RESERVE. Note - the reservation service requires that you set up an account. The fee to park is $11.70 per vehicle plus applicable reservation fee ($6.00 online, $8.50 by phone). 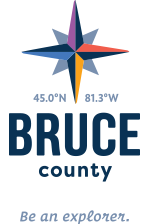 For more information about the Bruce Peninsula National Park, click here.